The Democratic National Committee met in Chicago, with the most controversial matter being a vote to reduce the power of superdelegates. 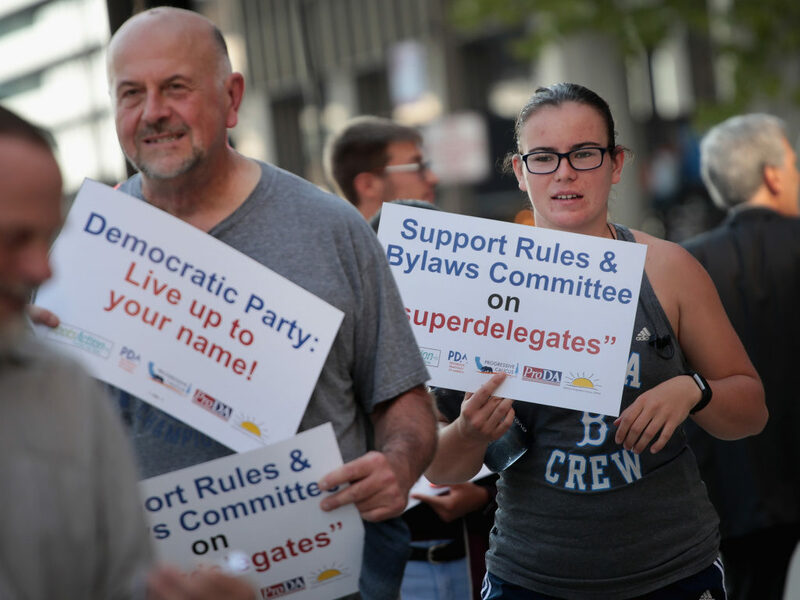 Rather than approving a weak compromise measure which would prevent superdelegates from voting on the first ballot, Democrats decided that a party which calls themselves Democrats must embrace democracy, and voted to totally eliminate superdelegates. Democrats also showed remorse for how Bill Clinton moved the country to the right, and for nominating a corrupt warmonger in 2016. Democrats voted to vacate both of the victories by Bill Clinton and the nomination of Hillary Clinton in 2016. The record books now showed that the United States had a Republican president from 1993 to 2001 and that there was no Democratic candidate for president in 2016. The party also enacted new ethics rules to chastise politicians who use elected office for personal financial gain to the degree practiced by the Clintons, and recommended the appointment of a special prosecutor to investigate their crimes. Besides altering their position on government corruption, Democrats issued statements supporting an end of big money influence over politics, ending our state of perpetual warfare, ending mass surveillance, and ending the drug war. It was at this point that I awoke from this dream. Posted in Bill Clinton, Democrats, Hillary Clinton, Politics. Tags: Barry Goldwater, Bill Clinton, Democrats, Hillary Clinton. RSS feed for comments on this post.. TrackBack URL.